So here we are then. Just what the internet was crying out for. Another blog. 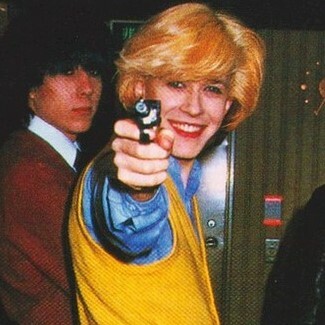 Ever better, a blog all about my absolute favourite subject - eighties music. That's right, the decade in music that brought you such stone cold classics as I'd Rather Jack by The Reynolds Girls, John Wayne is Big Leggy by Haysi Fantayzee and Big Apple by Kajagoogoo. Essentially, I listen to a lot of eighties music. Not just the ‘cool’ stuff, not just the cheesy ‘guilty pleasures’ that feature on numerous compilation albums – put simply, I have a terrible problem. You can expect odes to David Sylvian’s hair, Billy Mackenzie’s whippets, Stephen Duffy’s cheekbones...you get the idea. No doubt I’ll even blog about their actual music at some point too. And who knows, maybe we’ll discover the Amish really can teach us a lot about the eighties. 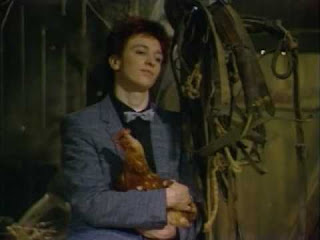 In the meantime, here’s Alan Wilder from Depeche Mode holding a chicken. Enjoy. We can learn a lot from the Amish. And from the eighties. Currently alive. Unless I'm not.